Rose Quartz speaks directly to the Heart Chakra. It’s a crystal of unconditional love and carries a soft feminine energy of compassion, peace, tenderness, healing, nourishment and comfort. Rose Quartz is most useful when dealing with emotional stress connected with matters of the heart. Rose Quartz powers melt away fear, resentment, sorrow, and most of all it gives the power to forgive those who have done us wrong. Remember, when we forgive it’s for us not the other person or the circumstance. Resentment and anger is a heavy weight to carry and we must truly forgive so we can move on and feel free. With these negative energies gone, you become more open and receptive to love and be loved. Rose Quartz benefits encourage healing with inner nourishment and comfort. A broken heart begins to feel new energy with a sense of contentment, fulfillment and inner peace. If you are having trouble finding love due to insufficient nurturing while you were a child Rose Quartz can help heal old wounds and eliminate early childhood trauma that’s inhibiting your ability to love yourself. Feeling worthy of the love of others allows you to love and be loved in return. 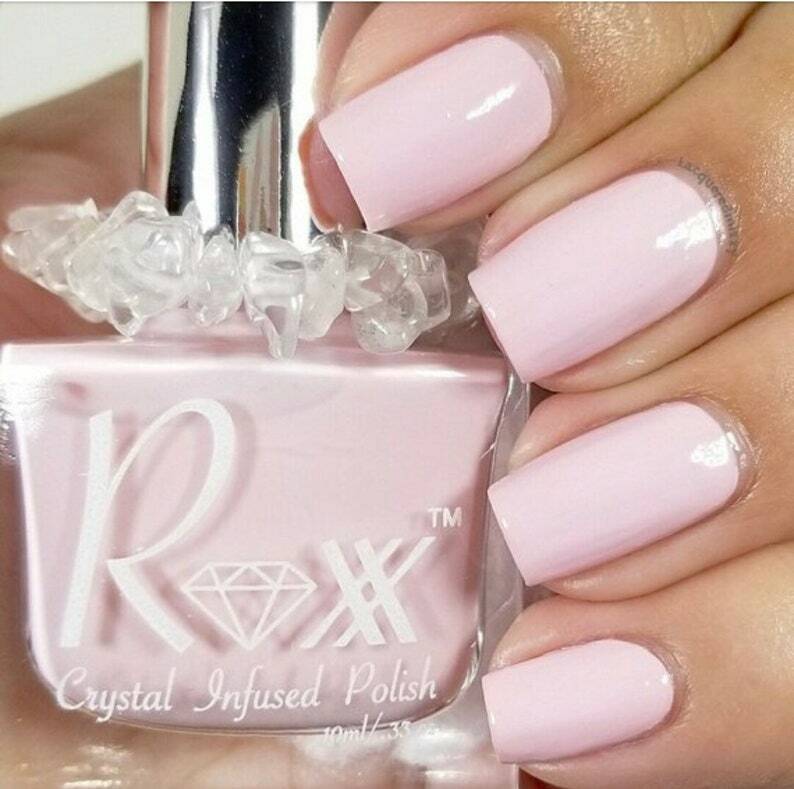 Great quality polish and I love the crystal infusion. I have several colors but the Rose Quartz is the perfect pink. Definitely recommend to others.